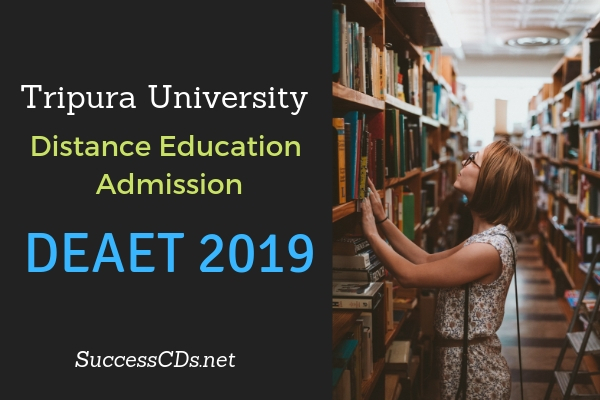 Tripura University Distance Education Admission Eligibility Test (DEAET) 2019 - Tripura University, invites applications for admission into its MA /BA/CHR Programs through Distance Mode for the academic session 2019-20. The admissions will be made through Tripura University Distance Education Admission Eligibility Test DEAET 2019. Tripura University is the main public university located in Tripura. Tripura University offers postgraduate courses in sixteen subjects. The Tripura University Departments and Centres offer 38 degree courses. There are 24 colleges affiliated to the university.